Nutrient rich bar includes fresh squeezed organic carrot juice and borage oil, which are high in carotene, vitamins and minerals. Spicy, warm, soft, balsamic, uplifting, restoring, cleansing comfort. The Carrot Bar has a spicy scent with carrot seed, citrus, and cedar essential oils. This bar is bursting with nutrients and moisturizing properties. The certified organic ingredients used in this soap are high in antioxidants, vitamins A, C, D, and E, omega 6 fatty acids, carotenes, proteins, lecithin, and squalene. Vegan. Also available in EO Free (unscented). Same great ingredients, without the essential oils. Full size bars are about 4.5 ounces, half size 2.2 ounces and samples 1 ounce. Weights are approximate and may vary due to the nature of crafting by hand. Hand crafting cold process soaps with natural ingredients will result in variations between batches. Please visit our ingredients page for more details about specific ingredients we choose and those we refuse to use. Unlike frogs, these soaps don’t like to sit in a puddle of water. It is best to keep them dry between uses. We use no chemical additives or preservatives, only naturally occurring elements; carefully selecting ingredients that are ecologically responsible. We also consider the distance they have to travel. If possible, we buy ingredients that do not have to travel great distances, or we buy from bulk suppliers within North America. The ingredients are also either food grade or cosmetic grade. The scents are produced by combining pure essential oils. The colors are the result of the natural combination of ingredients. Although not common, those with sensitivities can have reactions to naturally produced products. We strive to provide a product that is suitable for most users. Please check the ingredients carefully before ordering if you have sensitive skin. Feel free to contact us for additional information on any product we offer. Amphibians provide early warnings of ecological risks for all species due to their sensitivity. Supporting frogs supports us all. 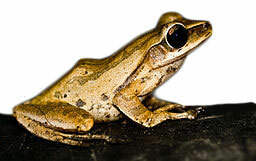 Fabled Frog Soap supports habitat conservation and restoration with contributions to Endangered Species International. Q: Who certifies your product? A: Our product is not certified. The ingredients we use are certified as organic and/or fair trade by a third party at the place of production. We do a fair amount of research on the companies we buy from. Some of the organizations that conduct the certification are the USDA, QAI Inc in accordance with the USDA standards, Oregon Tilth Certified Organic, National Association for Holistic Aromatherapy, Green Products Alliance, and Fair for Life through the Institute for Marketecology (IMO). Our products are made in accordance with U.S. Food and Drug Administration (FDA) and Consumer Product Safety Commission (CPSC) rules and regulations. 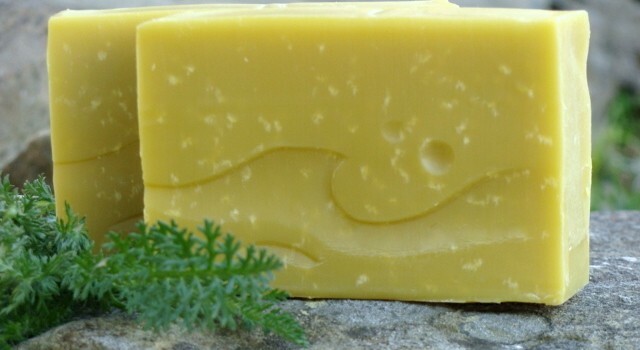 We adhere to Good Manufacturing Practices, and observe the code of ethics and bylaws published by the Handcrafted Soap Maker’s Guild (http://www.soapguild.org). Our company is certified as a B Corp. To view our profile and learn more please visit http://www.bcorporation.net/fabledfrogsoap. Q: Do you use lye? A: Yes. Lye or caustic soda are common terms for sodium hydroxide (NaOH). The chemical formula NaOH contains sodium, which is salt (Na), oxygen (O), and hydrogen (H). NaOH is a strong base or oxidizer, meaning it is good for removing the junk that builds up in drains. Soap cannot be made without either sodium hydroxide or potassium hydroxide. Sodium hydroxide is used to make bar soap and potassium hydroxide to make liquid soap. In both cases, the strong base is combined with water to make an alkaline solution, and then added to fats for saponification. We use fats of vegetable origin, with the exception of goat milk for the Gram’s Goat Milk Bar. The fats are triglycerides (containing 3 molecules of fatty acid) and when combined with a strong base (e.g. lye) the sodium attaches itself to the fat to form a fatty acid salt (soap). In the process glycerol (sometimes called glycerin) is produced. The glycerol in commercial soaps is washed out and used for industrial applications. In handcrafted cold process soaps the glycerol is still in the final product. Glycerol draws moisture to itself so helps prevent excessive drying. Q: Is your packaging sustainable? A: We try our best to source packaging that is sustainable. The paper wraps for the soaps are handcrafted by artisans in New York and Pennsylvania and 100% recycled content. The labels are made with tree free, fair trade grass paper that is 100% Recyclable, Compostable, and Natural. Our containers for the skin care products are special glass that eliminates the need for chemical preservatives. Q: Does your company use carbon offsets? A: We do buy products from suppliers that buy carbon offsets through the Carbonfund.org Foundation, which does have projects audited by third party organizations, like the Rainforest Alliance. There is still a debate as to the logic of using carbon offsets, at some point we will need to reduce, not just redistribute. We work hard to reduce rather than redistribute our carbon footprint by reducing, reusing, recycling, and supporting businesses that do the same. Q: Does your company offer liquid soaps. A: No. We do not offer liquid soaps because it requires much more energy in the form of fossil fuels to make liquid soap. 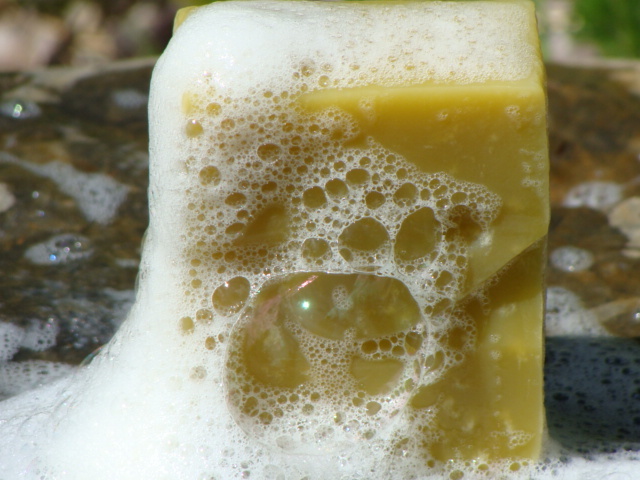 Liquid soaps require a heat source in order to convert the fatty acid and the potassium hydroxide into soap. 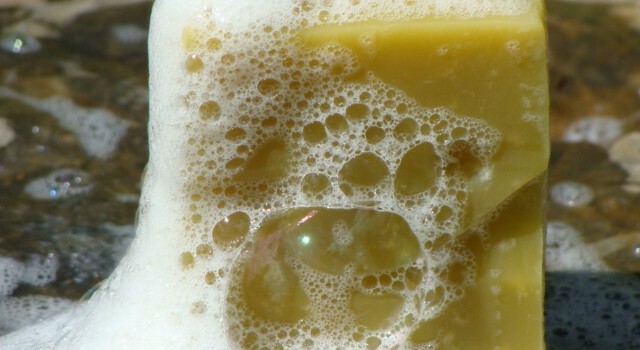 In cold processed soaps there may be a need to melt the oils, such as coconut and shea butter, but the amount of heating is a fraction of what is required for liquid soaps. The cold process actually makes its own heat during the formation of the soap. Then there is the dilemma of what container to put the liquid soap into. Currently the industry uses plastic, or in some cases glass, with a plastic pump. There is a movement to produce a “biodegradable plastic” for industry use, but the jury is still out on the process used to make the product. Most of the current products require agricultural crop byproducts, like corn starch, and if the crop is genetically altered, which most corn is, then there are other factors to consider that will result in detrimental environmental impacts. Like the higher use of herbicides on GMO crops that have resulted in mutant super weeds. I just dissolve basic soap in a bit of water and have a nice liquid alternative to keep at the kitchen sink in a reusable container, or just cut a bit off the end of a bar and keep it in a dish. Q: What essential oils do you use and why are they not listed? A: We do list the major components in the description of the product on the website. We do not list them all and we do not list any on the label. The combinations we use are proprietary blends of pure essential oils, not just one or two. Even plant based pure products can cause a reaction for those with sensitive skin or allergies. It is always best to try the product on a limited area for a few days before use. Stop using the product if a reaction occurs. We would be happy work with anyone who has sensitivities and advise them on which soaps might be suitable. Please refer to the ingredients page for specific information about essential oils. Q: The soap I purchased does not produce a very good lather, is the product defective? A: All of the soaps we produce are tested for lather with the water from our tap, which is soft water with a pH of 7.5, and by our test panel, who have various water types. In soft water our soap produces good lather. Hard water will not produce a good lather, because of the minerals. The minerals in hard water are generally calcium and magnesium and when combined with soap reduce the amount of bubbles. Q: Are your products tested on animals? A: We do not use animal testing for our products. We use a test panel composed of family members and friends who have volunteered to test and review our products, free of charge. *All information is for educational purposes and has not been evaluated by the Food and Drug Administration. There is no intention to diagnose, treat, cure, or prevent any disease or health conditions. Please consult a medical practitioner for health related questions or concerns. "Beautiful site! Beautiful message! I love the soap for my body, and our environment! Keep the faith! "